Prime Time Sports Talk | How Likely Is a Torey Krug Trade? 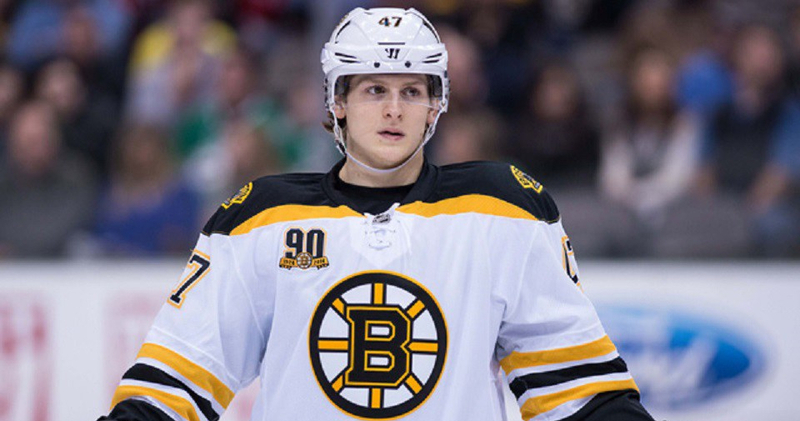 How Likely Is a Torey Krug Trade? It seems like we hear it every other week in the off-season, and every other day in the season—Torey Krug is about to be traded. The Bruins defense saw some shifts this summer on July 1, but there is still more than enough defensemen to go around if all are healthy. Zdeno Chara and his defense partner, Brandon Carlo, should be expected in the fall with a fully-recovered Carlo bouncing back from his ankle fracture back in April. Matt Grzelcyk signed a two-year contract extension in mid-June, giving Boston the vote of confidence from Don Sweeney that the 24-year-old left-handed shot is something the Bruins want to hold on to for the future. Charlie McAvoy finished this season fifth in the Calder Cup voting for the League’s best rookie. It’s a safe assumption that he isn’t going anywhere. Adam McQuaid and Kevan Miller are two physical staples on the back-end of the Bruins. Though they may be interchangeable in some opinions, McQuaid may be disposable as Miller comes more into his prime. McQuaid is one of just six Bruins players that remain from the 2011 Stanley Cup-winning team—along with Chara, Patrice Bergeron, Brad Marchand, David Krejci, and Tuukka Rask. In the seven seasons since, McQuaid has been one of the only key players that management has decided to hold on to, even after shaking things up and moving through a minor rebuild. Then there’s Torey Krug; the former rookie who shined after emerging out of nowhere in the 2013 Stanley Cup Playoffs. Though he still can deliver on the scoreboard, as he ended the 2017-2018 season with 59 points and 45 assists alone, Krug does not always come in clutch in tight situations. Often, his name has been thrown around in trade rumors. Krug is paid the highest of the Bruins defensemen with a contract worth $5.25 million each year, and he has two years left on it. Chara is right below him at $5 million but has a strict no-trade clause. Krug, however, has a modified no-trade clause, meaning he can give a list of eight teams that he would not want to be traded to. While there are seven defensemen on the roster already, the Bruins added more this offseason. Within the first few hours of free agency this summer, the Bruins announced signing John Moore, who left at the end of his three-year contract with the New Jersey Devils. The 27-year-old comes with the left-handed shot Boston has been seeking for years on a five-year deal worth an average of $2.75 million each year—the same salary as McQuaid and Miller. With Moore’s signing, it felt that there would be a move to make room for him in the lineup. The talk of a trade began as the season ended, and according to multiple sources, Krug’s name has come up in the discussions. And then there’s more of the future defensemen to come, don’t forget. Two days before Grzelcyk’s contract extension, the Bruins signed Urho Vaakanainen, their first-round pick in the draft last summer. Vaakanainen is a 19-year-old defenseman from Finland, and last summer at the Bruins’ Rookie Camp, he impressed the older players around him with his swift skating and skill in all three zones. If this summer’s training camp fares well for Vaakanainen, we may expect to see him in the lineup as well later on. That makes nine. Only six can play on the ice at once. When doing the math, there’s at least one odd man out, and many fingers are pointing to Krug. It feels like a matter of time. There’s no reason for Sweeney to play with nine different defense options. The question is: When will it be? What has he been waiting for? Earlier this week, the Edmonton Oilers announced that top-four defenseman Andrej Sekera will miss four to six months with a tear of the Achilles tendon. They’ll need a replacement for him, and Oilers General Manager Peter Chiarelli is familiar with Krug’s play. A trade with a solid return for the Bruins in exchange for Krug’s large cap space is what Sweeney might be waiting for. Krug does have the highest cap of any defenseman, and right now the team only has $3 million for wiggle room. Ideally, Chiarelli botches a trade as usual and gives the Bruins more than Krug is even worth without realizing it. On the other hand, training camp will be here before we know it. Having nine defensemen at camp may create an intense level of competition for the group, making the defensemen push themselves even harder because, really, only Chara has a guaranteed spot with his no trade clause. Sweeney and head coach Bruce Cassidy would certainly want to keep the players on their toes, seeing how they react when their own position on the team may be in jeopardy. Regardless, though, there will not be nine defensemen on the team by the time the puck drops at Capital One Arena in Washington D.C. on Oct. 3. Something’s got to give.